4.5 " x 4.5 " square (suitable for a small box top or tray insert). 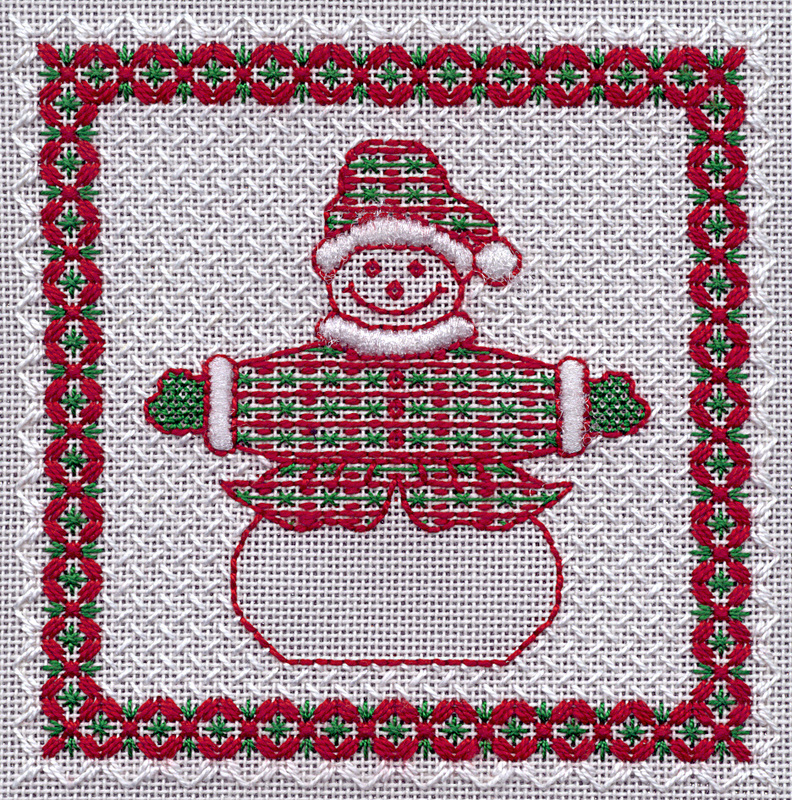 Snojangles is a whimsical Christmas design that features a centerpiece of a lovable snowman dressed in holiday garb and surrounded by an elegant border in festive seasonal colors. The figure is created with an Assisi style outline, but the jacket and stocking cap are embellished with an original open pattern that suggests a handsome printed fabric. The striking border is a composite pattern that combines three compatible networks, and the background pattern is a simple darning pattern that suggests a snowy atmosphere.